Okay, so you’re new here. Heck, I’m new here. I haven’t blogged in five years. Life just got in the way. But we’ll get through this together right? And that seemed like a good place to start. Simple. Although, it’s really not. Just like our family, it’s a lot more complex than it seems upfront. So, without further ado, let me introduce to The Bickford Five via our logo. First, the technical stuff. 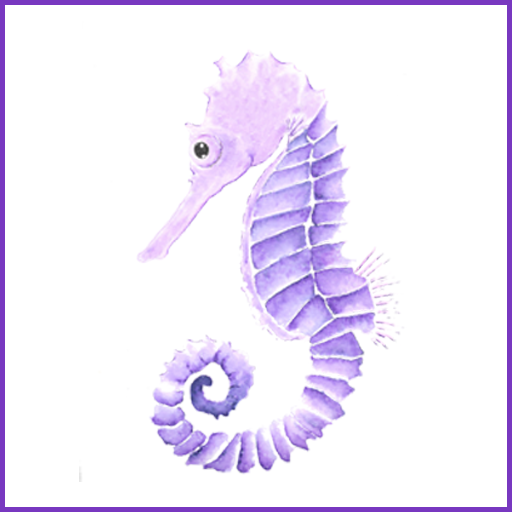 Seahorses are of the genus Hippocampus, which is why that area of the brain is named as such. The Hippocampus section of the brain looks like a seahorse! Because of this, seahorses used to be the logo for epilepsy awareness. This is also why our site includes the color purple; it’s the color of epilepsy awareness, and as you’ll learn more about, Tenley has epilepsy. The Hippocampus plays a role in memory, emotion, instinct, anxiety/depression, and neuron regeneration for the brain, so it has an important relationship with seizure activity. These things all play a big part in our family’s story, so we though it was a fitting representation. Seahorses are also very unique creatures. They face a lot of adversity to survive in the world, making them very resilient, kind of like us! They have many unusual characteristics and behaviors, and they have to fight a little more than other sea animals to survive. See – even their personalities fit in with our situation! With two surviving preemie triplets that have special needs, our journey has been quite like the seahorse. I also personally wanted something calming, serene, gentle… something with colors I could look at and immediately feel relaxed. The ocean is such a deep, mysterious place, and with some of the topics we’ll be talking about, it all felt appropriate. Honestly, there are many, many other symbols that our family relates to and that we love, but this one had a reason that represented each one of us and us as a whole, so it was the winner! Is there a symbol you identify with? Share it in the comments below! Aww, thank you! It’s so meaningful to us, and I knew that most wouldn’t understand upon just seeing it. Thanks for reading this post!